You’re a passionate Tarot Goddess! You may already have a tarot business that you want to grow so you can reach and help more people. Or, you’re a talented Tarot reader who wants to share your gift with the world by starting a tarot business online. Either way, you know how important it is to build a brand that stands out and energetically attracts your ideal clients. Yet, you’re not sure how to do it the right way so you don’t waste your precious time, money, and energy on a business that won’t take off. 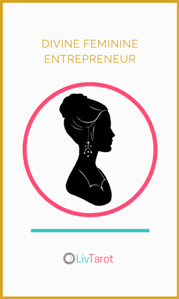 You intuitively know that you need solid business skills to create a lifestyle that’s truly magical for you and those you love. If you’re here, you’re being called to something more…. a life and business that is more spiritually and financially fulfilling than where you are now. Ready to step into your greatness? 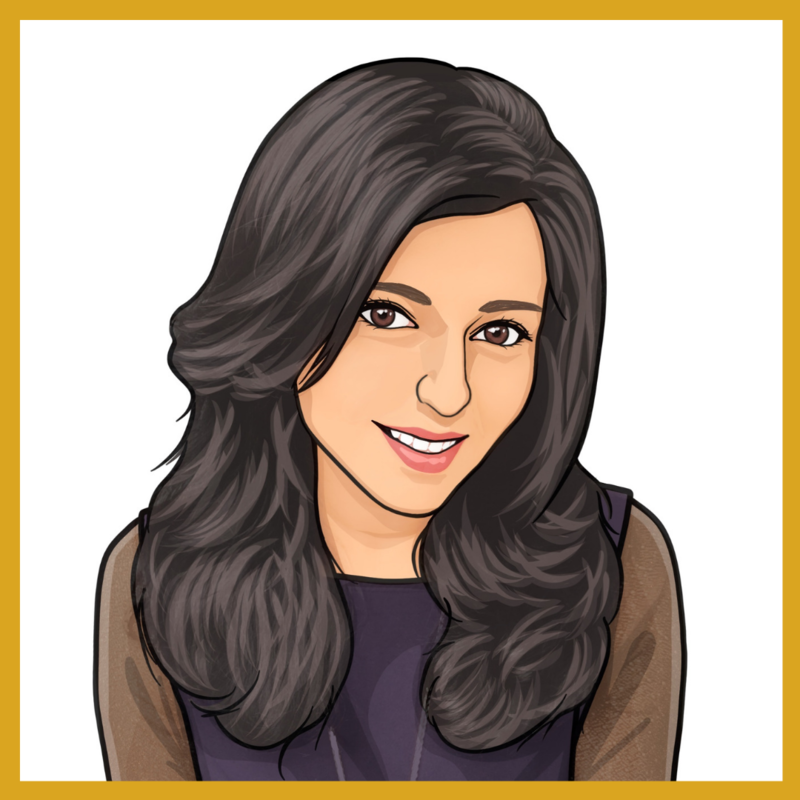 Book a 1-on-1 Business Breakthrough Consulting call with Dr.V, founder of LivTarot. How would it feel to build a successful business where eager clients come to you to help them connect to the spiritual guidance they need to transform their lives? Creating a sustainable, soul-centered tarot business online doesn’t have to be a struggle. You just need a simple plan to energetically attract your ideal clients. 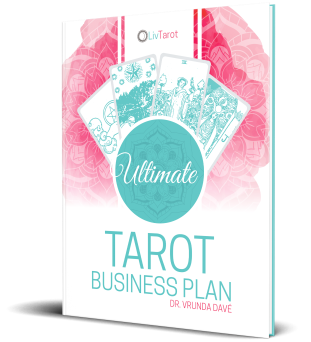 Get instant access to The Ultimate Tarot Business Plan free pdf guide and audio lessons in your email inbox. Did you know that success is not about being uniquely talented? It’s about committing to the result you want with your entire mind, body, and soul and taking positive actions everyday with the unwavering belief that great things are coming your way! Learn the simple and powerful marketing strategies that I’ve developed for my clients for the past seven years. The L.I.V. 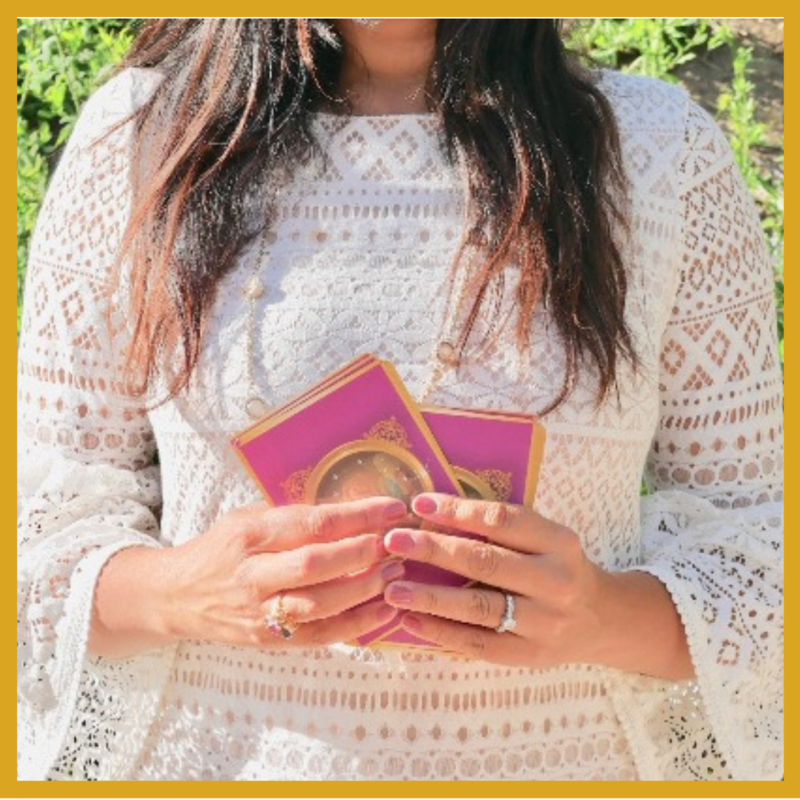 Tarot PathTM gives you the exact steps to take on your journey from struggle to success as a professional tarot reader and entrepreneur. It takes you out of doubt and overwhelm by providing a crystal clear business plan broken down into simple action steps. Whether you align the L.I.V. Tarot PathTM with your current tarot business or use it as a foundation to start a thriving tarot business, it will support you to fill your calendar with ideal clients and build a successful and soul-powered business by selling online with ease. Like you, I’m a tarot reader and an entrepreneur. 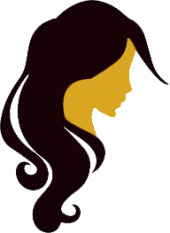 My passion is to help you build a tarot business that supports your ideal lifestyle. I know you’re an enthusiastic and action-oriented tarot entrepreneur on the path to financial and personal freedom. That’s why I’m here to help! For the past 7 years, I was the CEO of Savibiz Media Inc. and the Publisher of Savibiz Magazine where we helped thousands of entrepreneurs build thriving online businesses. My love for tarot and the incredible people in the tarot community has brought me to my next step here at LivTarot™. Here’s the best news! We’re currently living in the golden age of what’s possible in business. Now, more than ever, intuitive and soul-centered tarot entrepreneurs have the opportunity to do deeply meaningful work and create tremendous financial abundance from their service to others. You’re emotionally and physically exhausted from struggling to find new clients and feel like you’re on a jagged edge each week. Maybe you’re just starting out and feeling lost in the crowd because you have no idea how to authentically market your business online. You want to focus on serving your clients to the highest degree but are distracted and anxious about constantly marketing your business. You need strategic and intuitive insight into your business to realize your dreams and goals. Let me show you how… Start now by downloading your free Tarot Business Plan and audio classes. You’ll get instantly clarity on how to build the business of your dreams… to finally be free to live on your own terms. So, are we in this together? Are you ready to transform lives AND create an abundant life for yourself and those you love? Let’s take this journey together! DO YOU LEARN BETTER BY LISTENING? 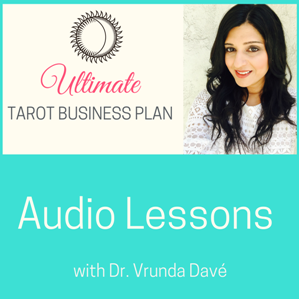 The Ultimate Tarot Business Plan comes with audio lessons too! Learn how to implement each step of the Plan with Dr. Vrunda Davé as your guide.